TBI's Emily Ball and Bryan Reynolds deliver December Channel News. Check out this video to hear from TBI employees on their biggest takeaways and accomplishments in 2018. 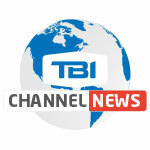 Learn about TBI's involvement in the launch of Verizon's Wireless Program in the channel here. Log into Partner Marketing Center to view the latest campaigns including: Comcast Business SD-WAN, Mitel UCaaS, RingCentral UCaaS, SD-WAN agnostic and IT Services agnostic. President's Club winners will be announced at the end of December. Winners will be notified via email. We're excited to celebrate with you in Cabo!